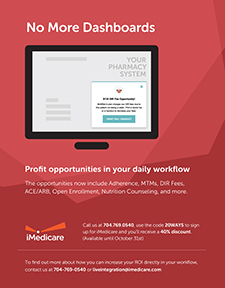 Profit opportunities in your daily workflow. 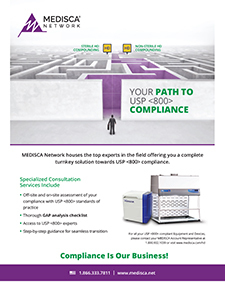 MEDISCA Network's one-on-one Consultation Service is designed to provide you with step-by-step guidance to achieve USP <800> compliance. 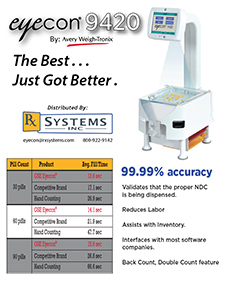 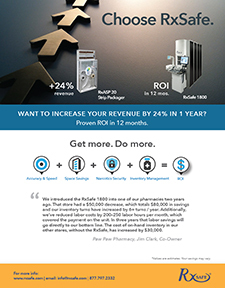 Save time and money by implementing the right plan for your business needs! 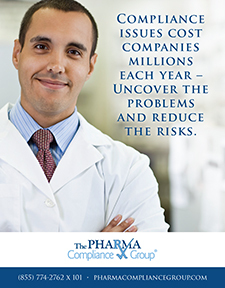 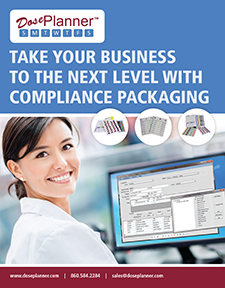 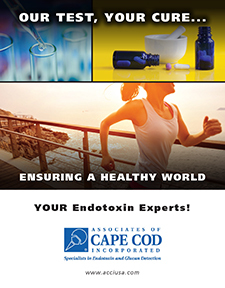 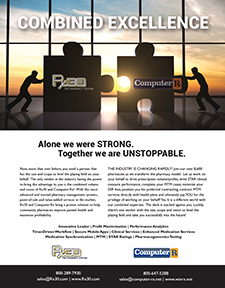 Offering a comprehensive menu of critical and cost-effective solutions, the Pharma Compliance Group helps its clients traverse the landscape of regulatory requirements and language to mitigate the risks associated with operating in a regulated industry. 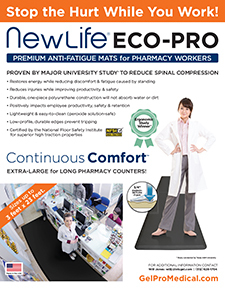 The use of NewLife® Eco-Pro Anti-Fatigue Mats can protect your employees, increase productivity, and boost morale. 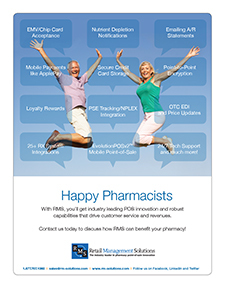 Leading to happier and healthier employees. 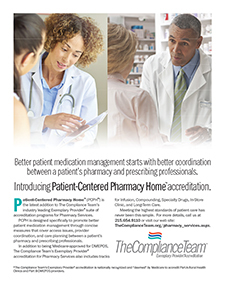 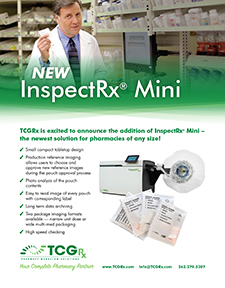 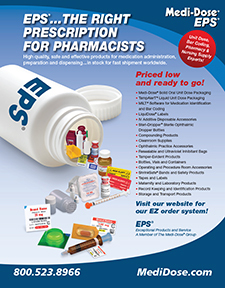 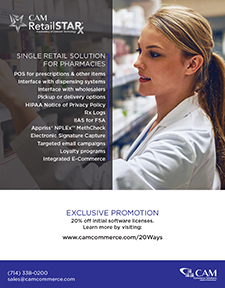 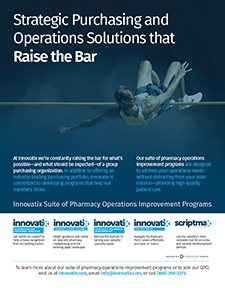 The Compliance Team's Medicare-approved operations-based Exemplary Provider™ accreditation builds on existing pharmacy business and patient care practices with a focus on process simplification and standardization. 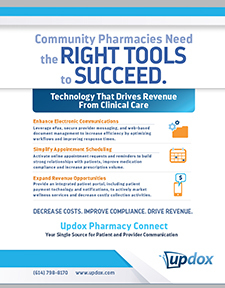 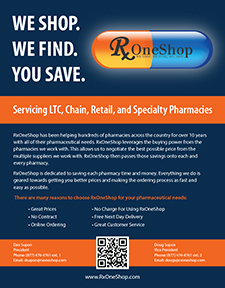 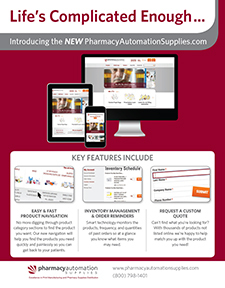 Let Updox Pharmacy Connect help your business ... 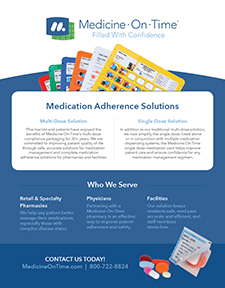 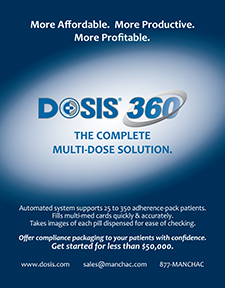 Improve Care Coordination - Drive New Revenue - Enhance Star Ratings - Engage Patients and Physicians - Increase Patient Traffic - Manage Medication Synchronization.